In 2011 and 2012, the Science Channel aired 8 shows in the Prophets of Science Fiction series. 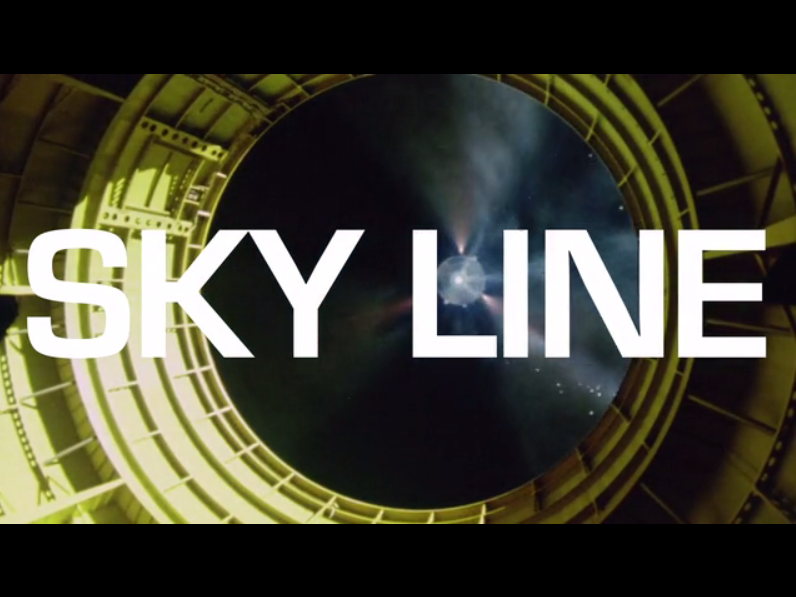 Episode 4, originally aired on November 30, 2011, featured Sir Arthur C Clarke (my all-time favorite sci-fi author). One of his best books was the Fountains of Paradise, Sir Arthur’s concept of a Space Elevator. The show devotes a good portion of time to the concept and also to Michael Laine, head of LiftPort, and someone very active in the Space Elevator community. You can see the movie as it is occasionally re-aired on the Science Channel and also, online, thanks to the awesomeness that is YouTube. The Space Elevator segment starts at about 26:20 and the bit with Michael Laine starts at about 30:28. Michael, incidentally, will be attending this year’s Space Elevator Conference as he usually does and I will look forward to seeing him again there. This entry was posted in Interviews / Presentations on August 20, 2013 by Ted Semon. Earlier this year, Markus Landgraf, a Mission Analyst at the European Space Agency, gave a TEDx talk about the Space Elevator. It was well done and worth the 19+ minutes of your time it will take you to listen to it. This entry was posted in Interviews / Presentations, News / Announcements on July 13, 2013 by Ted Semon. 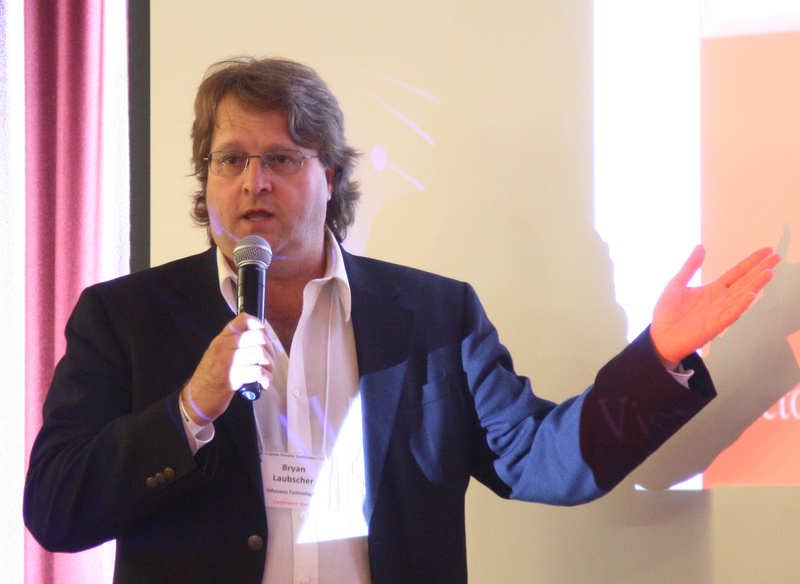 We welcome back MICHAEL LAINE of Liftport to discuss his Lunar Space Elevator Concept. Visit his website for more information. The show will be aired at 7-8:30 PM PDT (10-11:30 PM EDT, 9-10:30 PM CDT) and you are encouraged to call in to ask Michael any questions you might have. And, you can view the Space Show Website Newsletter to get a detailed bio of Michael as well as information about how to call into the show. 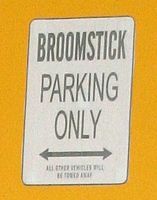 (Image thumbnail of “Moonlifter”, from the Liftport site). Visit the Liftport 2.0 page – Art of the Elevator to see a full-size version of this picture as well as many more images that have been posted). This entry was posted in Interviews / Presentations, News / Announcements on March 19, 2012 by Ted Semon. This is the third in a three part series of Conversations with Yuri Artsutanov. Part I can be found here and Part II can be found here. A.I was born on the 5th of October, 1929 in Leningrad, on the Moika river, in the building which once belonged to the Governor-General of St Petersburg in the XVIIIth century, during the time when either Casanova or Cagliostro visited the city. A. My mother was a teacher of history and worked in both standard and technical schools. My father was also a teacher of history but taught in special schools for workers which were organized after the revolution to educate the working classes. They met at the “A. Herzen Education Institute” where they studied together. My maternal great-grandfather, my mother’s grandfather, was Ivan Vassil’evich Vassil’ev (after whom a street in old St Petersburg was named, now called Degtyaryov’s street). He was the son of a serf who came to St Petersburg from Tver province to sell canvases. Artists recognized his talent and began to teach him their trade. He became an artist and produced many paintings. Later he even became an Honorary Citizen, the title passed on to the next generations as Hereditary Honorary Citizen and my mother had this title as well. He opened a lane on the Okhta (a district in St Petersburg on the other side of the Big Neva River) near the Okhta cemetery. This lane grew and was renamed Vassil’ev street as I mentioned before. In 1935, when I was 5 years old my father was arrested in connection with Trotsky’s trial and he was exiled to Kazakhstan. During the first couple of summers he came illegally from there to the dacha we rented near Leningrad. In 1937 he was finally sentenced to five years as ‘an enemy of the people’, and taken to a concentration camp in Magadan, on the Kolyma. After that he was stripped of his civic rights for a further15 years, exactly like Ivan Denisovich, the hero in Solzhenitsyn famous novel. After five years, in 1942 he was released but denied the right to live in a big city. He lived in a village called Nexican, in Magadan district until 1957. After Stalin’s death and with Khrushchev in power he was rehabilitated. Then he moved to Krasnoyarsk where he lived until his death in 1973. I have a document confirming that I’m the son of the victim of unlawful repression and as such I receive an additional pension – 300 roubles (about $10!) a month. My mother died in 1998. I had a brother who died 5 years ago. He was a graduate of the Air Force Academy as a meteorologist. After his death his wife appropriated my flat by deceit and left me to live in a tiny flat where I can’t order all my belongings properly. I think my original flat should become a museum just like the Tsiolkovsky museum. Q. Where were you educated? What do you remember about your school? A. I was educated in school No.14 (which later became No.78) on the Petrogradskaya Side. That was before the war and it was a standard school and my class was a standard one as well. There were some boys who were friends interested in science and we discussed all sorts of unusual scientific problems. I finished year 7 only. Q. What you remember about the war? A. The war started in June 1941 but only in March of 1942 were my mother, brother and I able to escape the blockaded city across the frozen Lake Ladoga along the so called “Road of Life”. We were lucky to survive as the truck in front of us sank under the ice. We spent the rest of the war in the Urals – in the village of Beloyarka in what was Chelyabinsk province at that time but later became Kurgan province. There was a very nice river in Beloyarka and the village itself has some connection to Tsar Boris Godunov. Q. Where did you study and work after the war? A. We returned to Leningrad in July 1945. After 7th grade at the standard school I began studies at the technical school from 1945 to 1949 and in that year I entered the “Lensoviet Leningrad Institute of Chemical Technology”. After graduation in 1954 I was sent to The Research Institute for the Chemistry of Mineral Oil (I stayed there for 3 years) and worked on polymers. In 1957 I entered the special course at the same Chemical Institute. I studied to do my PhD in the faculty of colloid chemistry. Unfortunately I didn’t complete my PhD. I wrote my thesis but didn’t submit it because I became very sceptical of the details of “ Kremnyov’s Method ” ( he was the head of the Faculty) when I found them to be incorrect – this way of doing things made it possibile of achieve any results you wished.Q. Was it at that time that the idea of a lift into space came to you? How? A. Yes, my idea for a lift into space took shape at that time. I was always interested in space and my friend Alik Yezrielev’s father, as a Stalin Prize winner had access to foreign scientific and technical journals (that was in 1957, four years after Stalin’s death) and we could also read them. On one occasion we read about a newly developed extremely strong polymer, so strong that if you used it to make a rope 400km in length it would not break under its own weight. At an altitude of 400km the force of gravity is already less than on earth so the rope could be lengthened up to 1km ( according to my calculations) without it breaking. The question arose what thickness would a rope of infinite length require. It turned out to be impossible if it was of a constant diameter. However, such a rope could be possible if it had a variable cross section, that is, was spindle shaped and if it was possible to use centrifugal force to counter the force of gravity. Step by step the idea of a lift into space was born. I kept talking to people about the idea but didn’t submit my article to the Soviet newspaper “Komsomolskaya Pravda” until 1960 and a week later they published it.Q. Where does your ability to have ideas on so many different areas come from? Is it innate or did you develop the skills yourself or were they the result of your studies and work? A. It is difficult for me to answer that question. As a child I read popular science books in the series “ Entertaining Physics”,”Chemistry”,”Mathematics”, “Astronomy”,”Mechanics” and so on, all by the same author Perlman. Perhaps both my interest and my ability came from there.Q. If you were interested in such books and you read them it suggests you already had an interest in these things. The ability to think, to analyse, to develop new ideas could develop from your reading because all those books were about ideas and how to put them into practice. A. I was always solving difficult problems. For example in 4th Grade I solved all the problems in our Arithmetic text book. Q. Was your Arithmetic teacher special? A. No, he was an average teacher. Q. Do you recall any outstanding teacher at your school? A. Yes. In Grade 7 there was a teacher of Physics – Guchkov who made a big impression on me. He gave me a physics textbook to read which he had used at University. Q. Did you understand it all? Q. What are your own best qualities? A. Love for knowledge otherwise known as ‘inquisitiveness’. I love to solve difficult problems. Yes, I’ve always tried to solve difficult problems wherever I’ve been. Q. Did you join the Komsomol (Young communists) organization? A. Of course I did. It was compulsory! As soon as I was 14 years old I became a member at once. Q. What happened when you graduated from the Technological Institute? Did you let your membership lapse? A. When I started my studies at the technical school I was asked whether I was a member of Komsomol and I said “yes”. When I started to work in the Research Institute for the Chemistry of Mineral Oil I was asked if I was a member of the Communist Party. I said ”no”. Of Komsomol? I said “yes”. When I completed the course work for my PhD in 1960 I left Komsomol because of my age. They kept asking me to become a member of the Communist Party but I avoided it at all costs. I was afraid to tell them that I didn’t want to! (Laughs). From 1960 to 1964 I remained in the faculty of Colloid chemistry and worked in the laboratory. for four years. In 1965 my friend Alik Yezrielev persuaded me to join the Institute of Synthetic Rubber (VNIISC) because at the Chemistry for Mineral Oil Institute I had been working with latexes. It was here I first met some young dissidents. Q. Did the fact your father was arrested affect your career, if so how? A. Yes, it affected me before his rehabilitation in 1956. Before then I was expelled from the special faculty of Atomic Energy in the Technological Institute where I studied. It was actually contrary to their own popular slogan “Children are not responsible for the deeds of their fathers”! (laughs). I always had the best marks in all subjects. I was awarded a special allowance as part of my scholarship (but they didn’t give me a Stalin scholarship!) Everyone around me kept telling me I was the best student in the Institute etc. Despite this I was expelled form the Atomic Energy faculty. Q. How did you get into the Faculty of Atomic Energy in the first place? A. I had a “red”diploma (an outstanding diploma with Honors) from the technical school where I had studied so they enrolled me there but by doing so they kept me from any of the other, better faculties. (The faculty of Atomic Energy was “closed” with increased security and secrecy so you needed to have an absolutely (politically)clean biography. From that point of view I was not “trustworthy” because my father was a political prisoner. Political considerations were more important than my qualifications in 1949. My father wasn’t rehabilitated until 1956. Q. Were you interested in atomic energy? A. No, but they offered other subjects in the faculty: all the nuclear processes, all the chemical processes connected with nuclear technology etc. i.e. it gave a very broad knowledge around the behaviour of atoms. Q. How did you become an “Enemy of People”? A. It was much later, in 1965 and I didn’t become one directly as such. There was a group of nine students who decided to organize a communist revolution. They were all arrested and imprisoned. Those who read their pamphlets and the book called “From Bureaucracy to Dictatorship of the Proletariat” and who hadn’t informed the “organs” (of the KGB) about such anti-Soviet activities were expelled. ‘Why didn’t you denounce them?’ ‘Why didn’t you come to tell us?’ ‘If you hadn’t forgotten our special department (Department No.1) at your place of work or study and if you had have come to us more often everything could be different’. So, I was dismissed from the Institute of Synthetic Rubber. I had worked there for only a year and a half. Q. How did that affect your life? A. It continued to affect me in one way or another. Wherever I worked I was either paid less than before or didn’t receive any wages for some months. And if they wanted to dismiss me I was told to write an application that I wanted to terminate my work “of my own free will”. Or else I was told, “Yes, we’ll appoint you” but three days later I was rejected. That was the case in five or six work places. Finally I found a position at the VNIIASH (Institute for Abrasives and Grinding Materials) where people from the 1st Department of my previous place of employment had called asking them to take me (the Institute had a low security profile). That was in 1966. Actually it only happened after I had gone to the headquarters of the KGB in Leningrad (the so called “Big House” on the Liteinyi Prospect) and told them that I hadn’t known that I had to inform them about the dissidents. I hadn’t known I had to denounce them! I worked from 1966 to 1992 at VNIIASH. In between I worked for four years at the “Ilych” in an experimental research plant. Q. Your future wife worked at VNIIASH? A. Yes, she had graduated from the Electrotechnical Institute in Leningrad. Q. How did you survive financially before you started to work at VNIIASH? A. My mother and my aunt helped me with money but personally I wasn’t stressed because I felt it wasn’t my fault that I didn’t have a job. Q. Why didn’t you emigrate when it became possible? You told me in 1979 when I emigrated that you couldn’t bear leaving the Russian landscape. A. No, I was joking! I never considered emigrating seriously because I couldn’t bear to cut my connections with hundreds of my friends and acquaintances. Q. Are you a member of some scientific organization, club, or association? A. I was a member of a society where people delivered scientific lectures and I did the same: the Society for the Dissemination of Scientific Knowledge Unfortunately I haven’t heard about the society for a long time. I also gave lectures at the Historical Museum of the Peter and Paul Fortress. Q. When did you retire from VNIIASH? A. In 1992. I didn’t retire, they made me go on the pension. The Deputy Director of Science, M. Efros, told me I was too individualistic. If I had have included all the “essential people” (i.e. 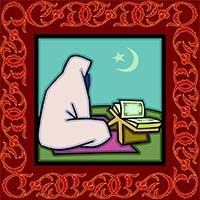 himself) as co-authors on the applications of my inventions I could have worked much longer! This conversation, as the previous two, are copyrighted and cannot be reproduced in any form without the express, written consent of Eugene Schlusser (eugenesc [at] netspace.net.au). Yuri Arsutanov and Jerome Pearson will both be at the upcoming Space Elevator Conference and it’s still not too late to sign up! Come out, learn more about this magnificent idea, and meet the two people largely responsible for the modern day concept of the Space Elevator! The Space Elevator Blog wishes to thank Mr.’s Schlusser and Artsutanov for their permission to publish these conversations. It’s truly been an honor. This entry was posted in Interviews / Presentations, News / Announcements on August 4, 2010 by Ted Semon. This is the second part of a three part series; “Conversations with Yuri Artsutanov”. Part I can be found here. Q. What is Dyson’s sphere? A. Dyson is an American scientist-physicist. He proposed that if we want to survive in the Universe we need to search for much bigger sources of energy than the sun, the sizes of the entire solar system and the absolute temperature of radiation up to 300 F, the temperature needed to support life. He said that life of any civilization develops and expands requiring more and more space. In the end, the entire terrestrial civilization will occupy a “cocoon” – so called “Dyson’s cocoon ” which will include some of the planets of our solar system, satellites, any artificial bodies (Sputniks) etc. All this matter will form a sphere around the sun capturing its entire energy for use by humankind. At present only a millionth part reaches our planet. So the sphere has to be of an enormous size but its temperature has to be equal to that of the human body. Nobody knows how to construct such a cocoon. The (Polish) writer and philosopher Stanislav Lem wrote that it was impossible. Mathematics and mechanics also indicate such a sphere is impossible to create, that it is fundamentally unstable, that it will be crushed by the forces of gravity. So this is my proposal: to make a belt in the shape of a beautiful shell revolving around the sun like a stretched satellite. If such a belt were constructed we could get not just a millionth part of the sun’s energy but as much as one hundredth of it. However, the radiation will be immense so a second belt has to be constructed at an angel to the first, and a third belt – at the same angle as the second one. The second belt must have a lesser diameter than the first one and the third belt a lesser diameter than the second to prevent them from crashing into each other. Such a shell will be impossible to crush. It will be stable because in each section the centrifugal force will be balanced by the force of gravity. The sphere will rotate around the sun and in addition it might even be possible to move closer to the sun. However that is a very complicated option. So in principle it is possible to devise a mechanical structure which will not be crushed under its own weight and I’m the first one to propose this. My article “Threefold Matryoshka” was published in the Russian magazine “Energy”. 1986, No.12. There is even a drawing of how it will look. I sent the article to Freeman Dyson, but unfortunately I couldn’t meet him when I was in the USA about 10 years ago. Again, these conversations are copyrighted and cannot be reproduced in any form without the express, written consent of Eugene Schlusser (eugenesc [at] netspace.net.au). The ‘belt’ idea seems to mimic Larry Niven’s Ringworld (one of the all-time great SciFi stories) – I wonder if Yuri is familiar with this novel? I’ll have to ask him at the upcoming Space Elevator Conference. As I mentioned in Part I of this series, Yuri will be attending the upcoming Space Elevator Conference in Redmond, Washington. If you want the chance to be able to meet both Yuri and Jerome Pearson, two of the true pioneers of the space age, come out to the Conference – it’s going to be the best one yet! This entry was posted in Interviews / Presentations, News / Announcements on August 1, 2010 by Ted Semon. For those of you who don’t know who Yuri Artsutanov is, he is a Russian engineer and the original co-inventor of the modern idea of a Space Elevator. It was Yuri who first postulated the Space Elevator being a tensile structure rather than a compressive one (like a conventional building or tower). Yuri will be appearing at the upcoming Space Elevator Conference (August 12-15) in Redmond, Washington – traveling all the way from his home in St. Petersburg, Russia. Yuri is 81 years young and is, by all accounts, in excellent health. The Space Elevator Blog is very privileged to be able to present the first in a three-part series; “Conversations with Yuri Artsutanov”. Parts II and III will be posted over the next several days. Q. Yura, please tell us how the idea of “A lift into Space” came to you initially? A. It was in 1957; I had a friend, Alik (Albert) Yezrielev; his father was a Stalin Prize winner and as such had access to foreign scientific and technical journals so Alik read them as well. One day he told me the Americans had invented a very strong material so that a cable made of this material could be as long as 400kms and would not break under its own weight. I commented that if the cable were placed vertically at an altitude of 400kms where the force of gravity is less than on earth the cable could be made even longer (for ~ 200m) without collapsing into itself. There followed this hypothetical question: what strength would a cable of infinite length have to have? And what if such a cable where erected on the equator where its centrifugal force would keep it at the higher altitude and therefore it would not fall down? That might make it possible to travel into space along such a cable instead of using rockets! Q. What aroused your interest in the material and the thickness of the cable in first place? A. I was interested in travelling into space from my early childhood. When I read that a new super strong material had been invented I immediately realised it could be used for building super long cables to lift us to cosmic altitudes, i.e. for traveling into space. Q. So the very idea of “a lift into Space” came to you when you thought about the cable, its strength etc.? A. Yes and it was in 1957, two months before the first Sputnik was launched. Q. Why is it so important to travel into Space? A. To find fossils and water on other planets and to use them. Q. What about “saving humankind”? A. Plenty of writers and philosophers from Aristotle to the present have thought and written about this. K.E.Tsiolkovsky said that “The Earth is the cradle of humanity but mankind cannot stay in the cradle forever”. The idea of Arthur C. Clarke was “to resettle humankind around the sun to increase its possibilities of survival”. Besides, sooner or later the sun and our planet will perhaps explode and people will need transport to escape and to disperse into space. So “salvaging humankind” has two meanings: the salvation of humankind in the event of a catastrophe, and making way for humankind in its natural aspiration to expand. Now it is closer to being realized thanks to the invention of the new super strong material – fullerene. The Americans could be using “A lift into Space” by 2040. Q. Tell us how your idea came to be connected with Tsiolkovsky? A. Five years after my article “A Lift into Space” was published in the newspaper “Komsomolskaya Pravda” a short article mentioning it appeared in the newspaper “Leningradskaya Pravda”. A year later the Americans invented the same “lift” (they called it a “space elevator”) and published an article in the American magazine “Science”. A correspondent of the “Novosti Press Agency” V. Lvov had special access to the foreign press and brought the article to “Leningradskay Pravda” where he was told that the idea was not a new one. A Russian article on the same idea had already been published in their paper one year prior. They searched their archives and found the article. Lvov then came to me convinced that the Americans had stolen my idea and he even published an article accusing the Americans. That was in 1966 when “the cold war” was coming to an end. When the Americans found out about Lvov’s article they asked him to stop alleging plagiarism because he was wrong. Their invention had been made quite independently. Lvov agreed and in an article for the American journal “Science” wrote:the space elevator had been “invented for the second time”. Then the KGB came into the picture asserting that Artsutanov was not worthy of the status of ‘ a hero’. His father had been arrested as “an enemy of the people” and he himself hadn’t informed them about a group of young dissidents (i.e.“enemies of the Soviet State”) at the Leningrad Technological Institute where he had studied. He had known them and was even connected with them. Lvov was ordered as follows: “You need to reduce the role of Artsutanov in this invention; write that the idea originated with Tsiolkovsky and Zander, and Artsutanov had copied their idea; that is, he wasn’t the originator of the idea”. In fact what Tsiolkovsky had written was: ”if it were possible to build a tower to a height of 36, 000 kms it might be possible to launch satellites from the top. However, everybody understands that to build such a tower is impossible”. He didn’t even offer a solution on how to build such a tower. It was a purely mental speculation on his part, “a mental experiment” as Arthur C. Clarke put it later. Among the rough notes belonging to F. Zander they found his calculations for the strength of a tube which could be used by people to get to the moon. He concluded that the entire supply of cast iron on the planet would not be enough to build such a tube. He also wrote that while it might be conceivable “everyone understands that it would be impossible”, and thereafter he never mentioned it again. Despite all these obvious facts V. Lvov still claimed that both scientists had been thinking of “a lift into Space” long before Artsutanov. It must be said that Tsiolkovsky’s idea for a tower was not original. It goes back to the Biblical Tower of Babel. People wanted to build a tower to reach the sky but God punished them and destroyed the tower. Arthur C. Clarke wrote to V. Lvov pointing out that there are no references to a lift in the works of Tsiolkovsky. The idea of a tower remained merely a speculative matter. Q. What did Arthur C. Clarke think about it all when he found out you were the real father of the idea? A. 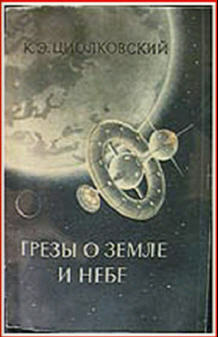 In his novel “The Fountains of Paradise” he clearly wrote that the lift into space was invented in the 20th century by Yuri Artsutanov and Tsiolkovsky didn’t invent any of it. Tsiolkovsky’s writings about the tower are no more than a mere “mental experiment”. Q. 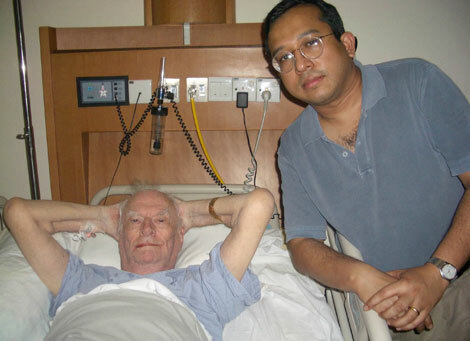 How did you meet Arthur C. Clarke? Q. What do you think about Jerome Pearson and his work? A. His is engineering work of a very high quality but the idea itself is exactly the same as mine. He had the opportunity to try to build a lift – the company, the equipment etc. which I, of course, didn’t have. The idea itself came to him through his work as an ichthyologist. In their research into the oceans it was very important to have very strong cables which wouldn’t break even at a depth of 30km. Then he realized it would be possible to pull the cable not only down underwater but up as well. Q. Do you have other inventions on which you have written and published? A. Dyson’s Sphere. In our search for other civilizations we need to locate and study huge objects of a length of up to one billion km. Their temperature has to be less than 50C for life to exist. In the future the increasing population on earth will need all the energy of the sun, not just that fraction which at present reaches our planet. So we need to create a sphere, where intelligent creatures can live on its inner surface and capture all of their energy’s source – the sun’s or other sources. That’s Dyson’s idea. Q. What is your part in the idea? A. Nobody knows how to construct a sphere so that it isn’t destroyed by the sun’s gravitation. My article on the subject was published in the Russian magazine “Knowledge is Power”, 1969, No.9. Note that these conversations are copyrighted and cannot be reproduced in any form without the express, written consent of either Natalie Sherman or Eugene Schlusser (you can email Eugene at eugenesc [at] netspace.net.au). I found Yuri’s remarks, especially about the role of the KGB, absolutely fascinating. It’s not too late to sign up to attend the Space Elevator Conference. Yuri will be appearing with another co-inventor of the modern idea of the Space Elevator, American Engineer Jerome Pearson. They will be hosting a Q&A session, currently scheduled for the morning of Saturday, August 14th. Come on out and meet some true pioneers of the Space Age! This entry was posted in Interviews / Presentations, News / Announcements on July 30, 2010 by Ted Semon. I identified with this webisode as I’ve often been the guilty party when my wife has yelled out “Hey, who ate all the ice cream?” I’ve also tried the Astronaut Ice Cream, having purchased some at the NASA Dryden Flight Research Center Gift Shop (yes, there really is one there and they have some cool stuff for sale) during the Space Elevator Games tests and competition. I wasn’t expecting much, but they’re actually edible. I should have refrigerated them before eating though – then I think they would have tasted more like ice cream. And I should mention that this episode 19 in the Elevator to Space series. I’m glad to see that these guys aren’t winding down and continue to entertain us with their humor. This entry was posted in Interviews / Presentations, News / Announcements on December 8, 2009 by Ted Semon. Sander Olson of the Next Big Future kindly emailed me to let me know that his recent interview with Dr. Brad Edwards has now been posted at their website. Small quantities of some nanotubes have been made that are sufficiently strong to be used in a space elevator. We would obviously need to produce hundreds of tons of such nanotubes to build a space elevator. With sufficient funding, we could create a nanotube-based material appropriate for a space elevator within a couple of years. That certainly sounds overly-optimistic to me, but who am I to argue with Dr. Edwards? Anyway, it’s always interesting to get the current thoughts of Dr. Edwards and I recommend that you check out the interview. This entry was posted in Interviews / Presentations, News / Announcements on December 4, 2009 by Ted Semon. On Tuesday, November 17th, at 4:30pm (Eastern time), members of the 2009 Space Elevator Games prize-winning LaserMotive team will be interviewed on the Jay Thomas radio show. This will be broadcast both on Sirius radio (channel 108) and XM radio (channel 139). The show will be replayed at 9:00pm (Eastern time). If you subscribe (or you can get one of the ‘free trials’), this should be a fun interview to listen to. This entry was posted in Interviews / Presentations, News / Announcements on November 16, 2009 by Ted Semon. As many/most of you know, the recently completed Space Elevator Games were broadcast live on uStream.tv. I hope you were watching and listening. After a very ragged first day, commentators Bryan Laubscher and myself did OK, I think, in bringing you all of the action. For the competition next year (plans already in the works), we’ll be doing this again and hopefully, even better than this time around. One of the neat things you can do with uStream.tv is record what you watch. Marc Boucher from SpaceRef.com did just that with LaserMotive’s first prize-winning run and it is now available on YouTube. You can watch the run in all it’s glory and listen to Bryan and I (in all our “unglory”) as we call the action. Thanks Marc! This entry was posted in Interviews / Presentations, News / Announcements, Space Elevator Competitions on November 12, 2009 by Ted Semon. This entry was posted in Interviews / Presentations, News / Announcements on August 17, 2009 by Ted Semon. Earlier today, Bryan Laubscher, PhD, astrophysicist, long-time supporter of the concept of a Space Elevator and conference organizer extrordinaire, appeared on NPR Radio. The topic was entrepreneurship and Bryan was talking about developing carbon nanotubes to build a Space Elevator. It’s a short piece but very interesting. Check it out. This entry was posted in Interviews / Presentations, News / Announcements on July 15, 2009 by Ted Semon. On June 8th, Ben Shelef, CEO of the Spaceward Foundation, appeared on Dr. David Livingston’s The Space Show to discuss the upcoming Space Elevator Games, Power Beaming, Strong Tethers and Space Elevators in general. Ben’s Spaceward Foundation is the host of the Space Elevator Games, so he is THE MAN to discuss the topic of the Games. As well, with his recent publications (you can find them all here), most importantly, The Space Elevator Feasability Condition, I think it is safe to say that Ben is now pushing the research forward about the Space Elevator more than anyone else. This entry was posted in Interviews / Presentations, News / Announcements on June 24, 2009 by Ted Semon. Last Monday, Dr. Bryan Laubscher appeared on David Livingston’s The Space Show. Bryan and David discussed the state of Space Elevator ‘affairs’ and the upcoming Space Elevator Conference (Aug 13-16). And, thanks to the miracle of podcasting, none of us missed the show (though we did miss a chance to call in and ask Dr. Laubscher questions). Click here to listen to the show or visit The Space Show’s website. This entry was posted in Interviews / Presentations, News / Announcements on May 6, 2009 by Ted Semon. The third in the series of the Space Elevator Spring Chats, hosted by Marc Boucher at the Space Elevator Reference site, will be tomorrow, Tuesday, March 31st at 2:30pm – Eastern Time. This week, Marc will interview Bert Murray, the head of the National Space Society (NSS) Climber / Power-Beaming team. The topic: Discussion on the NSS Team efforts and the Space Elevator. Bert has 30 years experience working at Lockheed Martin. I look forward to seeing all of you on Marc’s next chat! This entry was posted in Interviews / Presentations, News / Announcements on March 30, 2009 by Ted Semon. On March 17th, the inaugural Space Elevator Reference chat was held. This is a series of chats that is being hosted at Marc Boucher’s Space Elevator Reference site. The first guest was Ben Shelef, CEO of the Spaceward Foundation, host of the Space Elevator Games. The transcript of this chat is now available. If you missed the chat, here is your chance to get the absolute latest information on the Space Elevator Games and hear Ben’s answers to other questions that were posed to him. This entry was posted in Interviews / Presentations, News / Announcements on March 29, 2009 by Ted Semon. Over at the Space Elevator Reference, THE original Space Elevator website, host Marc Boucher will be hosting a series of online chats dedicated to the topic of the Space Elevator. Each week, Marc will have a different luminary from the Space Elevator effort on the chat. Spring Chat Series Starting March 17 and running every Tuesday for at least 4 weeks. Hope to see you on the chat! This entry was posted in Interviews / Presentations, News / Announcements on March 16, 2009 by Ted Semon. No, there’s nothing wrong with me (outside of a nasty cold that had me bed-ridden for a few days), there’s just not much going on in the “Space Elevator World” at this time. Work still continues on finalizing arrangements for the next Space Elevator Games. It has been reported in many places (but NOT this blog) that the Games are scheduled for April 26th-30th, or alternatively, April 27th-May1st. This may yet happen but is NOT yet certain. When the dates and location are set, you’ll hear about it first here on this blog and, of course, on the Spaceward website. Several of us, including some team representatives, visited the Kennedy Space Center in late February to meet with people from ISTEF, the Kennedy Space Center, NASA, and several other groups to discuss logistical problems and find solutions. This is no small task. What Spaceward and the teams are attempting to accomplish this year is truly quite astonishing; creating a laser-powered climber speeding along at an average speed of 5 meters/second up a kilometer-long steel cable racetrack held up by a hovering helicopter. Because the teams are beaming class-4 lasers essentially straight up into the air, flight restrictions must be observed so that aircraft, especially low-flying aircraft, are not allowed in the area during climbs. Also, the actual scheduling of the runs must take into account overhead satellite passes as it is might be possible for these lasers to affect some satellite optics. In addition, because reflections from these lasers off of the climbers can be potentially dangerous, procedures and ‘safe’ areas need be designated so that the “6 year old albino kid who never blinks and has both a 12″ Celestron telescope and a litigious mother” are taken into account and kept safe. All these problems are solvable, but many parties are involved and all have to be satisfied that the plan is a sound one. This entry was posted in Interviews / Presentations, News / Announcements, Space Elevator Competitions on March 2, 2009 by Ted Semon. Vibrating your way to space? I’m sure many of you saw the BBC News Article about using vibrations to power a Space Elevator Climber (along with a very short video clip demonstrating the effect via using a broomstick). On YouTube now, there is a longer video where the engineer who has proposed the idea at the recent EuroSpaceward conference, Age-Raymond Riise, talks about how this idea works and some of the problems it introduces. Frankly, I’m a bit skeptical of this idea. There is already, IMHO, too much going on with the tether (having to move it to avoid potential collisions as well as just the natural vibrations which will already be in the tether due to the Climbers, the sun, the moon, etc.) and introducing this will just muck up the works even more. But I’m not a physicist, perhaps I’m wrong. One of the things we hope to do with ISEC is to launch a ‘rapid-response-team’ which will look at ideas like this and say if they are feasible or not. It will be nice to catch the news cycle these stories appear in and give them a bit more credibility if they past muster, or point out the obvious flaws in them if they do not. This entry was posted in Interviews / Presentations, News / Announcements on January 22, 2009 by Ted Semon. I finally have my copy of the new Marvel release, Iron Man – The End. It’s been one busy week, so I didn’t have a chance to read it until tonight. The issue is about 98% Iron Man and 2% Space Elevator, but hey, 2% of a Marvel Iron Man issue is nothing to sneeze at. I was initially going to do a review of the storyline, but decided against it because a) I am not competent to do so as I really know nothing about the comic book genre and b) I thought it would be more interesting to tease out the 2% Space Elevator bits to see how they stack up against the ‘currently accepted model’. Able to move the ribbon out of the path of orbiting objects and also any storms strong enough to be dangerous. Can be located directly on the equator in the most weather-friendly position possible. Can be located in international waters. Can be located near populations or not as selected. Large-scale, mobile sea platforms are tested technology (Sea Launch). If the ribbon breaks, much or all of the lower portion will probably fall into the ocean. Easier to ship really large, bulky, irregular-shaped items to a Space Elevator via sea than on land. Personally, I’ve never liked the idea of an ocean-going earth-port – the idea has always seemed a bit dodgy to me. When I first read The Space Elevator, everything proposed made sense EXCEPT for the earth-port. 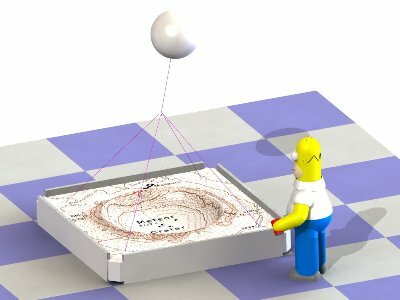 Having to move the earth-port itself to induce a wave in the tether in order to make it miss a bit of debris (or a satellite) is really inefficient. Why not have lasers zap the 99.99% of the debris that no one cares about and have thrusters mounted on the ribbon every 1,000 Km or so and let them move the ribbon as necessary for the rare bit (live satellite or whatever) which cannot be zapped? Just find the thruster that’s closest and use it. And, with the portion of the tether which is in the atmosphere now probably going to be a cable rather than a ribbon, it will be minimally affected by the wind. The next item mentioned is the tether itself. To quote from the relevant frame; “Basically a giant nanotube ‘grown’ from a geostationary Space Station.” Travel on this tether will be by (again quoting); “…magnetically levitated shuttles (which) will carry passengers and cargo at less than two percent of current costs making the stars accessible to the common man.” Hmmmm. Again, the current model says that the baseline tether will be shipped to GEO, assembled, and then simultaneously deployed downwards (towards earth) and upwards (away from earth), this to keep it stable. If the tether is only ‘grown downwards’, as is shown in the comic book, pretty soon (very soon, in fact), gravity will have its say and will pull everything down. Yes, you can have a counterweight at GEO (with nothing above it) to hold the tether in place, but it would have to be ginormous, far bigger than the space station shown in the comic. Also, later on in the issue, there is a picture of the tether in the clouds, looking like it’s being ‘grown downwards’, but it’s not a tether at all, but rather a very large structure. This is reminiscent of the ‘Clarke model’ from his Fountains of Paradise novel. The next Space Elevator item was, well, there was no ‘next item’ – that was it. Like I said, 98% Iron Man, 2% Space Elevator. When this issue was first announced, I emailed one of the storyline artists, Bob Layton, and asked if he would be willing to answer a few questions for us. He graciously consented and below, is our short interview with Bob. [Space Elevator Blog – SEB] Have you been following the evolution in thought regarding the development of a Space Elevator? 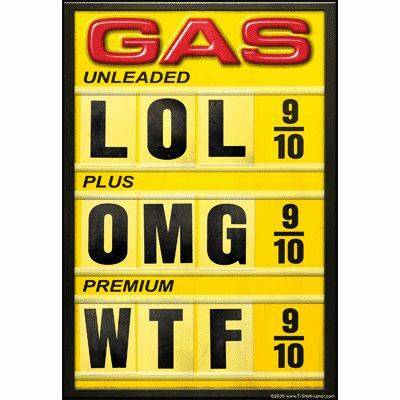 Do you consider it to be a realistic possibility or just a crazy idea? [Bob Layton – BL] I believe that it’s a totally realistic concept and I hope that we eventually apply our energies as a society to make this science into a reality. [SEB]Why did you pick a Space Elevator as Tony Stark’s “Ultimate Project”? Were you at all influenced by author Arthur C. Clarke and his fictional engineer (Vannevar Morgan) building a Space Elevator as his ‘ultimate project’ or was there another inspiration behind this? [BL]When David Michelinie and I were originally concocting the plot to Iron Man: The End back in 1999, I had just finished reading Arthur C. Clarke’s ‘Songs of Distant Earth’. The scientific theory around the Space Elevator in that story served as an inspiration. [SEB]If it’s not revealing a plot line you’d rather keep secret for now, does Tony Stark use the ‘Edwards model’ for building a Space Elevator (a carbon nanotube ribbon as the climber cable, anchored in the ocean at the earth-end) or the ‘Clarke model’ (a more solid structure anchored on land) or some other model? [BL] We use a little bit of the “Edwards Model” and the “Clarke Model” in IRON MAN:The End. [SEB] Reading your Bio on your website (http://www.boblayton.com <http://www.boblayton.com/>), it’s obvious that, to date, you have had a long and successful career in the comic book industry as well as in film and television. During your career, have you used the concept of a Space Elevator in any other project? If so, could you tell us a little bit about those projects? [BL] No. But I have a proposed TV series in the works entitled “Jett’s Way” that revolves around the first commercial Space Agency. In the premise, the lead character is trying to get permits to construct the space elevator and encounters political and corporate opposition from every imaginable source. 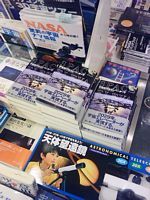 [SEB] There is support building for a Space Elevator in both Europe and Japan and I think they would be very interested in this issue. Are Marvel Comics available in other languages? [SEB] Finally, if you had a chance to ride on a real Space Elevator, would you do it? [BL ] In a HEARTBEAT!! YOU BET!! Thank you Bob! And, please keep us updated on the “Jett’s Way” project you mentioned. It sounds fascinating. Go out and buy this issue, dear readers. More than most comic books, I think this could become a ‘Collector’s Item’. This entry was posted in Interviews / Presentations, Pictures / Drawings / Animations / Music / Humor / Game on November 22, 2008 by Ted Semon. Over at SpaceFellowship.com, they have just posted an interview with Elon Musk, he of SpaceX fame (as well as PayPal, Tesla Motors and SolarCity). The interview covered many subjects. including the Space Elevator. He’s not a fan. 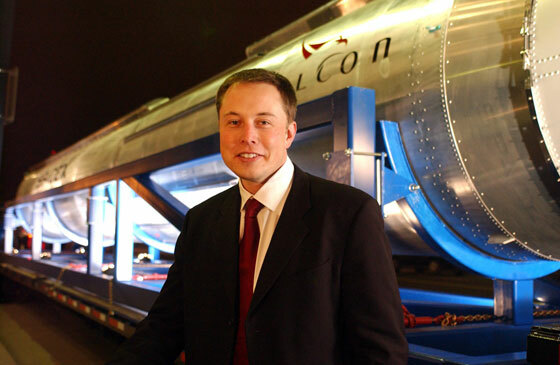 “Question: I know that SpaceX has plenty on its plate right now. However, any thoughts on using your techology after you go public on the construction of a Space Elevator? Private or Public? “Question: Do you have an estimate of when the common person will be able to take advantage of the fruits of the SpaceX program? “Question: Should not NASA be funding research to make Space Solar Power possible in this time of energy crisis as they did in the 1970’s? It’s a very interesting interview – check it out. This entry was posted in Interviews / Presentations, News / Announcements on September 27, 2008 by Ted Semon. 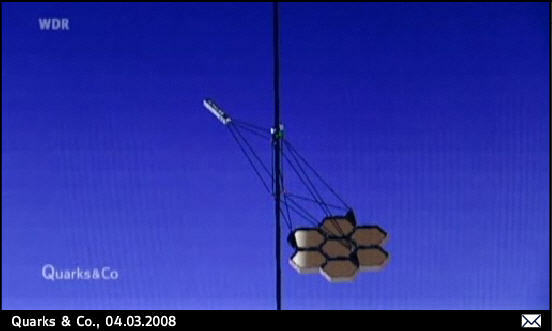 In January of 2007, the PBS show NOVA Science Now aired a short clip (about 12 minutes) on building a Space Elevator. This clip was narrated by the esteemed Neil deGrasse Tyson. I blogged about it a few times, including here and here. Jim Dempsey has let me know that this show is being rebroadcast TONIGHT. Check your local listings for playing times. This entry was posted in Interviews / Presentations on August 6, 2008 by Ted Semon. Remember, on today’s ‘The Space Show’, host Dr. David Livingston interviews Dr.’s Bryan Laubscher and Martin Lades to talk about the upcoming Space Elevator Conference and the ‘state of affairs’ for the Space Elevator. If you have questions and/or comments about the Space Elevator or the conference, or just want to hear the latest, be sure to tune into today’s show. 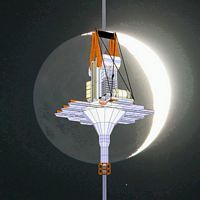 The Sunday, July 6, 2008 program, 12-1:30 PM Pacific Daylight Time welcomes Dr. Bryan Laubscher and Dr. Marin Lades to the program to discuss the upcoming Space Elevator Conference in Redmond, Washington. Bryan E. Laubscher received his Ph.D. in physics in 1994 from the University of New Mexico with a concentration in astrophysics. Bryan has just left Los Alamos National Laboratory to pursue new adventures in the Redmond, WA where his wife lives. In 2006, Bryan spent a year on Entrepreneurial Leave to Seattle. There, he started a company to develop the strongest materials ever created. These materials are based upon carbon nanotubes – the strongest structures known in nature and the first material identified with sufficient strength-to-weight properties to build a space elevator. At LANL, he is a project leader and has worked in various capacities for 17 years. His past projects include LANL’s portion of the Sloan Digital Sky Survey , Magdalena Ridge Observatory and a project developing concepts and technologies for space situational awareness. 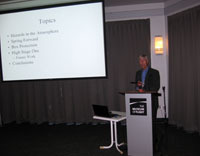 Over the years, Bryan has participated in research in astronomy, lidar, non-linear optics, space mission design, space-borne instrumentation design and construction, spacecraft design, novel electromagnetic detection concepts and technologies, detector/receiver system development, spectrometer development, interferometry and participated in many field experiments. Bryan led space elevator development at LANL until going on entrepreneurial leave in late 2005. Dr. Martin Lades, has an interdisciplinary physics Ph.D. with a dissertation on pattern recognition and neural networks from the Ruhr-Universitaet Bochum, Germany, and an M.S. in physics on applied optics from the Friedrich-Alexander Universitaet Erlangen, Germany. His research work includes pattern recognition research at LLNL and software development in bioinformatics. He has managed R&D, IT, and information security efforts and co-founded a VC funded tissue engineering startup running FDA trials. Martin joined the Space Elevator community 2004 attending the SE conference in D.C. He is currently working on optical design and control system questions for the 2008 Kansas City Space Pirates entry in Spaceward’s Power Beaming competition. He was working with the same team in 2006 and 2007, for example contributing the KCSP mirror targeting device for 2007. Martin’s passion is to coalesce the forces for Space Elevator development and support their communication infrastructure. This entry was posted in Interviews / Presentations, News / Announcements on July 6, 2008 by Ted Semon. Dr. Martin Lades, has an interdisciplinary physics Ph.D. with a dissertation on pattern recognition and neural networks from the Ruhr-Universitaet Bochum, Germany, and an M.S. in physics on applied optics from the Friedrich-Alexander Universitaet Erlangen, Germany. His research work includes pattern recognition research at LLNL and software development in bioinformatics. Visit The Space Show website to read the full biographies of both men and be sure to tune into the show. And visit the Space Elevator Conference website to learn more about the conference and to register to attend. It’s coming up soon – only 18 more days – but it’s still not too late to make plans to attend. This entry was posted in Interviews / Presentations on July 2, 2008 by Ted Semon. Well, that didn’t take long. The video clip I put up of Brian Turner of the Kansas City Space Pirates appearing on the Conan O’Brien show has been taken down due to “Copyright violations”. 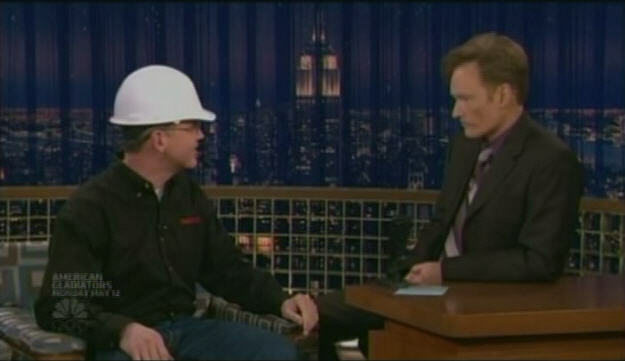 I don’t know why – there’s a ton of other Conan video clips up on YouTube. Maybe someone from another Climber/Power-Beaming team complained because they thought that Brian was getting too much publicity 🙂 Anyway, you can go to the Conan O’Brien website and see the clip. Don’t delay though, it probably won’t be up there for long either. Go to this website, navigate to the “May 2nd” episode and then select on “Brian Turner”. On the Spaceward Foundation website, there is an “Artist’s rendition” (complete with Homer Simpson) of a mockup of what the 2008 Space Elevator Games venue might look like (if it’s held at Meteor Crater in Arizona). This mockup will be on display at this year’s ISDC and SEC2008 (and probably some other venues too). And, speaking of the Space Elevator games, the observant may note that the date for these games (posted on the sidebar of this blog) has been changed from September 8th to September 26th-28th. The September 8th date was never really ‘set in stone’ – it was just a target date. The 26th-28th dates (with qualifications beginning on the 23rd or 24th) is a much more firm date. This entry was posted in Interviews / Presentations, News / Announcements, Pictures / Drawings / Animations / Music / Humor / Game, Space Elevator Competitions on May 7, 2008 by Ted Semon. This was Conan O’Brien’s joking response to Brian Turner’s description of the “Space Elevator highway(s) to Space”. This entry was posted in Interviews / Presentations, Pictures / Drawings / Animations / Music / Humor / Game on May 3, 2008 by Ted Semon. On the current edition of Dr. David Livingston’s The Space Show, Dr. Michio Kaku and Dr. Bob Krone are interviewed. This entry was posted in Interviews / Presentations on April 26, 2008 by Ted Semon. 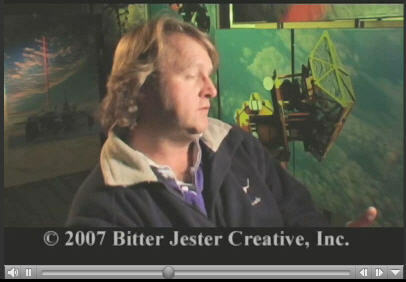 At last year’s Space Elevator Games, the Chicago video production company Bitter Jester Creative, Inc. was invited to film the games from a human interest viewpoint. The first fruits of this effort from the team of four that were at the games are now online. If you visit this link at their website, you can see these two clips. These are really well done, especially (IMHO) the first one. This entry was posted in Interviews / Presentations, News / Announcements on April 24, 2008 by Ted Semon. This entry was posted in Interviews / Presentations, Pictures / Drawings / Animations / Music / Humor / Game on April 16, 2008 by Ted Semon. Yes I know that there have no posts here for a few days now. No, nothing’s wrong (thank you to those who emailed me, asking if all was well), there just hasn’t been much to post about. One of the things I have been doing is some investigation into the “wobbly Space Elevator” (non?) problem. I’ve been corresponding with Dr. Brad Edwards and Dave Lang about this (as well as reading what Blaise Gassend had to say about it) and am going to pony up the $31.50 to read the original paper by Lubos Perek to see what ignited all the fuss. At some future point, if I think I have something to add to this discussion, I will do so. 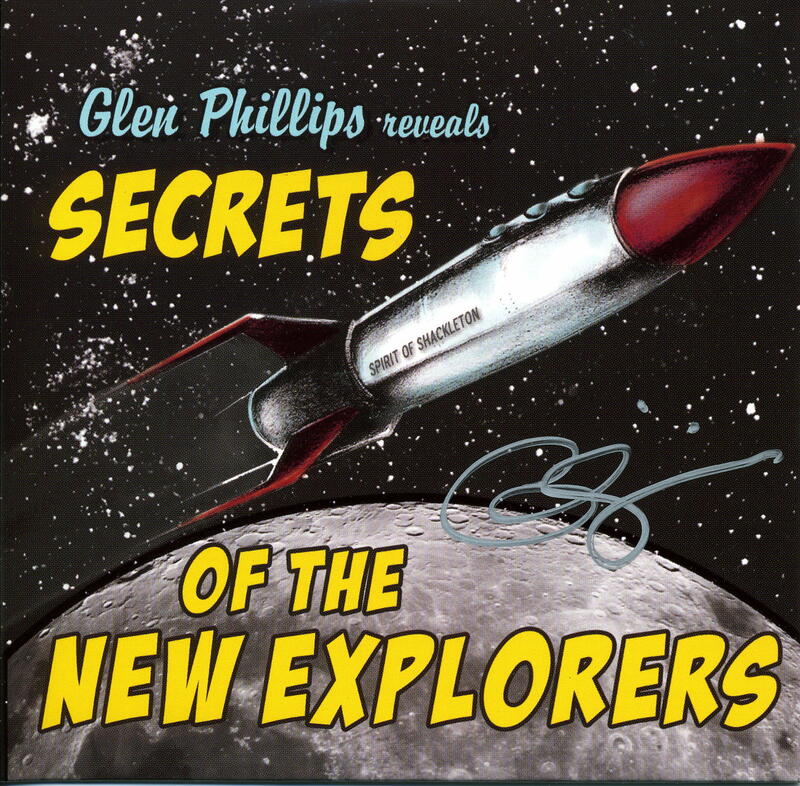 Glen Phillips is in town Friday night – I look forward to this concert with great anticipation. Planning is still ongoing for this year’s Space Elevator Games. The two biggest changes from previous games are, of course, the length of the racecourse (now 1km) and that instead of a ribbon, the climbers will have to be ascending/descending a steel rope. The chances that anyone will attempt this competition with a power source other than a laser are somewhere between zero and nil. 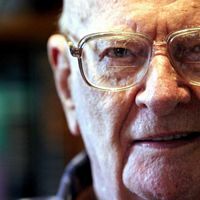 The picture thumbnail, above, is probably one of the last (if not the last) pictures of Sir Arthur C. Clarke and was provided as part of a story by Saswato R. Das. Click on it for a slightly larger version (or access the story, of course). 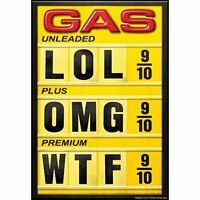 This entry was posted in Interviews / Presentations, News / Announcements, Pictures / Drawings / Animations / Music / Humor / Game on April 9, 2008 by Ted Semon. Early last year, a new series from the Discovery Channel aired. One of the episodes was a fictional account about how a Space Elevator might be used / integrated into our future and how it may play a part in future scientific development. I blogged about this show here. Now, thanks to the magic of YouTube, you can view this show again (or, for the first time if you missed it before). It was posted in five parts. 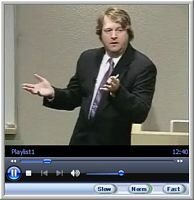 This entry was posted in Interviews / Presentations on March 20, 2008 by Ted Semon. 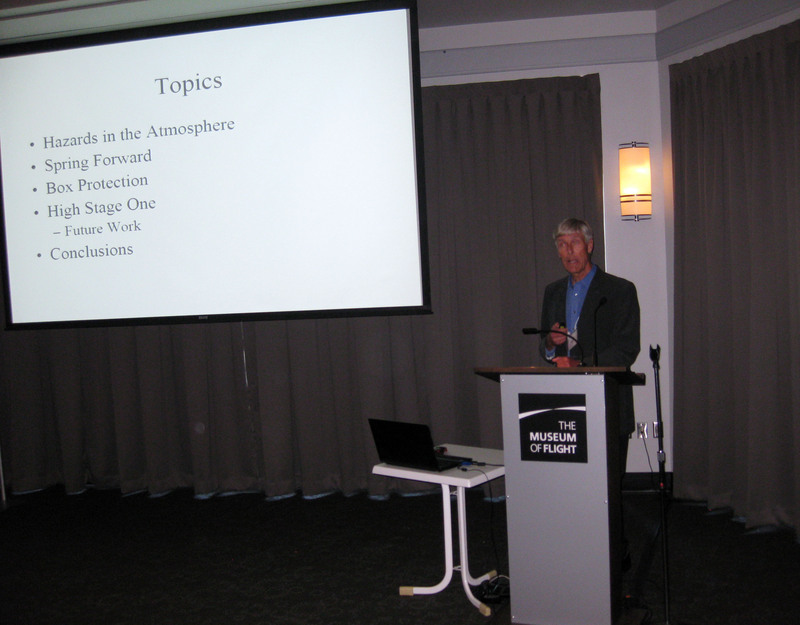 On July 20, 2007, Bryan Laubscher gave a talk about the Space Elevator at Microsoft. It has just (I think) been posted on the web. You can access it here. This is an hour and 23 minute presentation, exploring the concepts, history, potential uses and current status of the Space Elevator development. If anyone is looking for a primer (or refresher) about the Space Elevator and its benefits to humanity, this is the video to watch. This entry was posted in Interviews / Presentations, News / Announcements on March 13, 2008 by Ted Semon. Weltraumaufzug – this is how you say/write “Space Elevator” in German. In the most recent episode of the German TV series ‘Quarks‘, the concept of the Space Elevator is explored. I don’t speak German, so I can’t give you a word by word description of what the show was about, but for anyone who is at all familiar with the concept of a Space Elevator, most of the show will be very understandable. IMHO, it’s really well done – the graphics and animations, some of which I’ve not seen before, are first-rate. It’s not on YouTube (at least not yet 🙂 ), so I can’t link to it that way. However, you can view the show here. Maximize the screen size. You can watch the entire show (which covers many subjects besides a Space Elevator), or you can just click on the ‘Weltraumaufzug’ link on the left-hand side to go directly to the Space Elevator episode. The show spends some time talking about a Climber vehicle being created by some German University students. I don’t recognize the Climber – it wasn’t the TurboCrawler entry into the 2006 Games and there is no German entry into this year’s Games (at least not yet). I’ve emailed the show’s producer to ask her about it – when I find out, I’ll either post an update here or else will put it on a separate post. And by the way, the videos of the 2007 Space Elevator Games at the beginning of the TV episode were all taken by yours truly. Many of the teams and their climbers are shown. Watch the show. Even if you don’t speak German, I’m sure you’ll enjoy it. This entry was posted in Interviews / Presentations, News / Announcements on March 8, 2008 by Ted Semon. I am sorry not to talk to you for a long time. I am having hard time to get sponsor for E-T-C to join 2008 game. Still I am not sure if we can join this year or not even I registered…. BTW, there is one good news from Japan today. 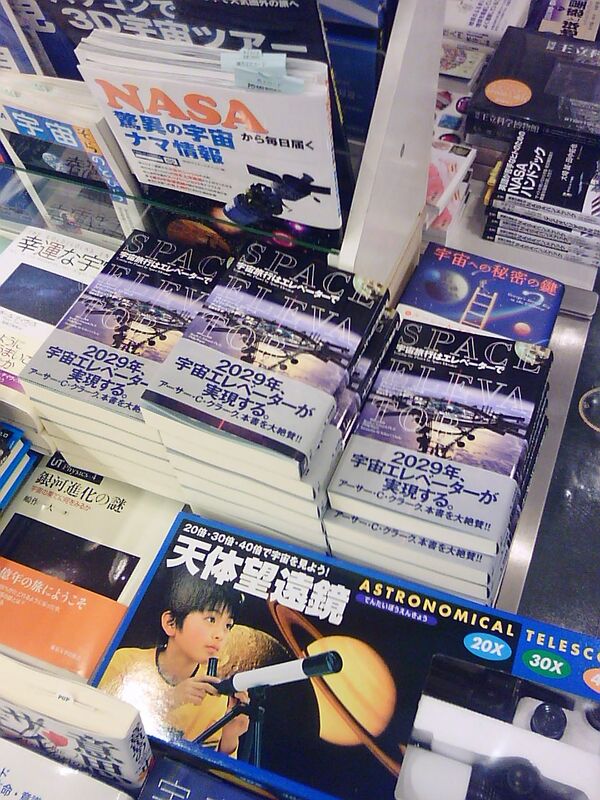 Space Elevator became popular today in Japan. It was on TV Asahi from 8 pm to 9 pm on Sunday. TV Asahi is one of major TV broadcasting network in Japan. This program in not for Education purpose but unique. That program has an audience rating of almost ten percent. Ten percent is big number. Anyway, HQ of Spaceward foundation was shown even I have not been there yet. And Brad is also on the TV. Also they made big globe and space station to explain about SE and they invited me to explain. They broadcast around 30 minutes. I hope SE becomes more popular in Japan. I just want to tell you about this TV program. Still I need to find sponsor but I am very happy today. 10 percent IS a big number in viewer percentage – let’s hope this leads to a) more interest in the concept of a Space Elevator in Japan and b) some sponsorship help for team E-T-C. This entry was posted in Interviews / Presentations, News / Announcements, Space Elevator Competitions on March 4, 2008 by Ted Semon. Ben Shelef of Spaceward sent me the following response to the Bruce Pittman statement (comparing the reality of using Fusion Power for rockets to a Space Elevator) that I posted here. “Regrettably, that statement shows such a basic lack of understanding of both the Space Elevator design or even straight forward physical reasoning. To respond directly, there is absolutely zero connection between the wind behavior of the power beaming setup and a real Space Elevator. A real Space Elevator, inside the atmosphere, will likely have a round cross section, about 1/4″ in diameter, and only 0.05% of the Space Elevator (yes – half-a-thousandth) is inside any appreciable atmosphere. 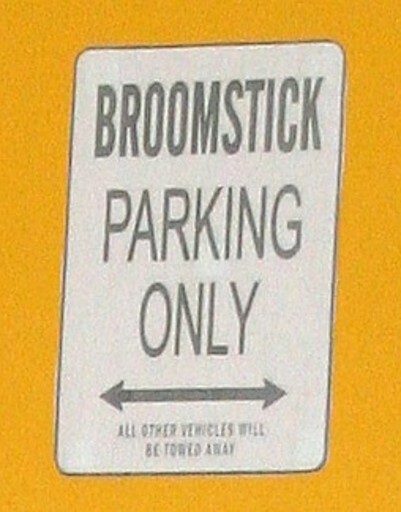 (50km). The Space Elevator will oscillate with a period of hours, not even comparable to what we see in atmospheric tests. This entry was posted in Interviews / Presentations on February 17, 2008 by Ted Semon.